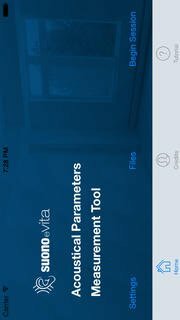 With APM Tool you can quickly measure the acoustical performance of a room (reverberation time, clarity, etc. ), check if that room is well suited for its purpose and, if not, choose which materials can improve the acoustical quality. You can also, save, load and export results in common spreadsheet format. The app can also generate pdf reports with photos. A tutorial slideshow explains the app use.